The Hong Kong tycoon fixed the last big problem in his telecoms empire with a $24 bln tie-up in Italy. With that transaction done, future dealmaking is likely to focus on other parts of his conglomerate. Reviving the listing of retail arm AS Watson is one way to release value. CK Hutchison Holdings and VimpelCom said on Aug. 6 they would merge their Italian mobile companies 3 Italia and Wind Telecomunicazioni into a group that the latter said was valued at 21.8 billion euros ($23.8 billion). CK Hutchison’s Hong Kong-listed stock rose 1.2 percent by 12.30 p.m. (0430 GMT) on Aug. 7, to HK$115.6 a share. VimpelCom’s American Depositary Receipts had earlier fallen 7 percent to $5.43. 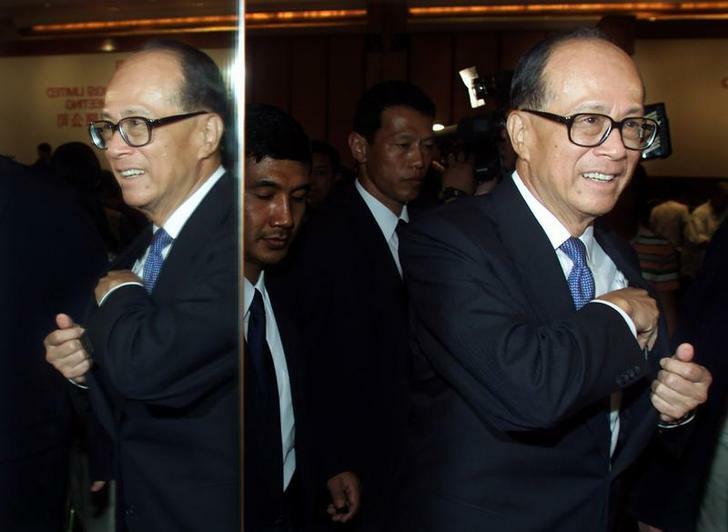 CK Hutchison was created by the reorganisation of tycoon Li Ka-shing’s Cheung Kong and Hutchison Whampoa groups, which was completed on June 3. CK Hutchison’s interests include ports, retail, energy, infrastructure, and telecoms investments, while Cheung Kong Property Holdings focuses on real estate. In March Hutchison Whampoa agreed to buy Telefonica’s O2 UK business for up to 10.25 billion pounds ($16.1 billion). Forbes ranks Li as Asia’s richest man, with an estimated fortune of $33.3 billion.